Wynter Kabimba who was one the key figures in ushering the Patriotic Front (PF) into government in 2011 now says Zambians will not allow the party to go beyond 2021. While Mike Mulongoti says the PF government will not even reach 2021. 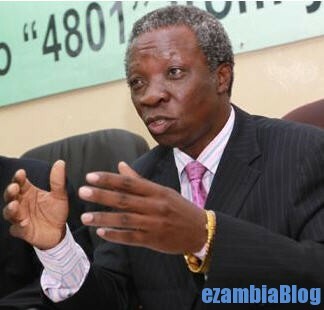 Kabimba who served as Chief Executive Officer for the PF and Justice Minister has vowed that the party he helped form government is leaving power in 2021, the year Zambia will be holding general elections. “There is no way Zambians will allow the PF to go beyond 2021, no way that I can bet. 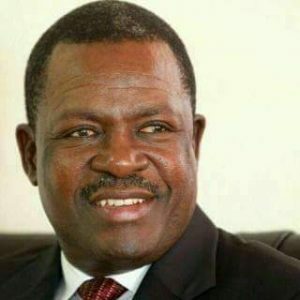 The PF is going in 2021,” Kabimba said vehemently during a Television programme dubbed Oxygen of Democracy on privately owned Lusaka based Prime Television where he featured with former Minister under MMD Mike Mulongoti. Kabimba said he feels so ashamed that the party he helped get into government on the platform that it will fight corruption has now gone to bed with the corrupt people that the PF kicked out of government for corruption. “The PF has gone to bed with corruption and I feel so ashamed when I see the people we were fighting to remove from government are back in government,” said Kabimba who has since left PF to form Rainbow Party. He charged that the country is drifting to be mafia state without some criminals who have been embraced by President Lungu. Kabimba said although the situation has worsened now, he saw this under President Sata. He explained that he started seeing corruption and tribalism taking root in PF and he openly told President Sata. “Some people went to tell President Sata that Kabimba is saying there is corruption and tribalism in PF. Sata called me and asked for evidence. I asked for permision from him to go public and expose the corrupt elements because me I don’t just say things like others do that there is corruption, balekula (they are building) all over without evidence. I will say the names and give you the plot numbers,” he said. Kabimba warned that time for reckoning for criminals is coming and coming soon because the Zambians will not allow PF to go beyond 2021. He criminals should learn what has happened in Zimbabwe where those suspected to stolen public money were rounded up the military. He said when the Rainbow Party forms government the criminals will have no space in Zambia. He said they will scamper and will only take weeks for him to bring sanity. Kabimba said there will be no corruption and exploitation of workers by foreigners once the Rainbow Party forms government. He said what is happening in Zambia is unacceptable. He said the party has a firm disciplinary code unlike other political parties who embrace the corrupt when they join them just to win elections. He said Rainbow Party does not believe in ‘politics is about numbers’ with bad elements for the sake of winning elections. Kabimba revealed that a number of officials who in the past weeks were reported to have defected to other parties were facing disciplinary. He said one official was expelled from the party for misappropriating K10, 200. And Mulongoti said he does not see PF go upto 2021. Contributing to Kabimba’s point that the PF is going in 2021, Mulongoti said 2021 was too far. “You think they (people) will allow them to go that far? No ways,” Mulongoti stated confidently as he chipped in without elaborating. Mulongoti was one the senior Ministers who dished the MMD government in 2011 after he differed with President Rupiah Banda. He campaigned for the PF and Michael Sata who he later on castigated of being unappreciative. Mulongoti complained that Sata just like his successor Edgar Lungu who he campaigned for could not thank him for helping them win elections. He said the duo forgot the people that helped them win and were ‘eating’ alone. After being let down by the PF, Mulongoti then formed his own political party called People’s Party which has failed to tick. He is now aligning himself to the opposition UPND. “Easier said than done” Opposition fragmentation likely to give PF an upperhand again in 2021; unless otherwise. Opposition need consolidation. Peace, Love and Goodwill to all Zambians. PF to be out of power by 2021?. That is a pie in the sky, may be 2026. The recently held elections PF scooped 9 out of 12 seats. This simply shows the party is still popular and strong in 6.5 provinces and that the same voting pattern witnessed last year is likely to obtain even in 2021, with massive infrastructure being rolled out in these provinces I don’t see PF losing the 2021 elections. The other factor which will work against the opposition is that the oppositions don’t seem to be an alternative to the governing party, they are busy criticizing without offering practical solutions to the governance challenges. Honestly who can waste his vote on Kabimba or Mulongoti with no presence in parliament kkkkkkkk? I also bet that PF will win in 2021 with a landslide, this is my projection just mark my words. this shameless politicians have lost direction politically. Pf is winning and Mr Lungu whom you have accused of being a foreigner will be the winner!